We produce a 'Do It Your Self' Range of BC FIX Furniture Films. They come with various single colour and wooden finishes and often with an embossing as well. These Films have adhesive at the bottom and can be easliy pasted onto new or exisiting furniture to give a refreshed look. We at Brite Coatings Produce a `Do it yourself Range' of Furniture Films under the brand BC Fix Furniture Film. 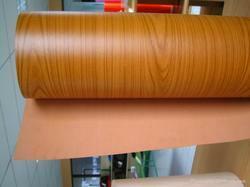 These Films are specially formulated films for the furniture industry as well as for end use by customers. When applied to furniture, cabinetry, doors and consoles these decorative films create beautiful, durable finishes. These Films feature a thickness of 0.2mm with a width upto 1270mm. It can be applied on plywood. MDF board as well as Acrylic/Plastic sheets. Looking for Furniture Film ?